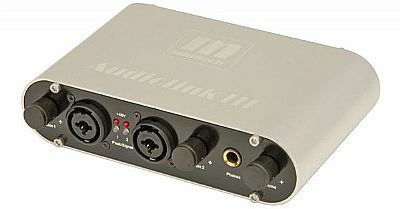 Great plug n play Audio to USB interface with separate inputs for Microphone, Instruments and Line-level inputs. Fully featured hardware connections with multi-track software for recording vocals, guitars, keyboards and a wide range of other sound sources to a PC-based studio setup. ''Class compliant'' device - no driver installation necessary, designed to work with Windows XP SP2, Vista and Windows 7.